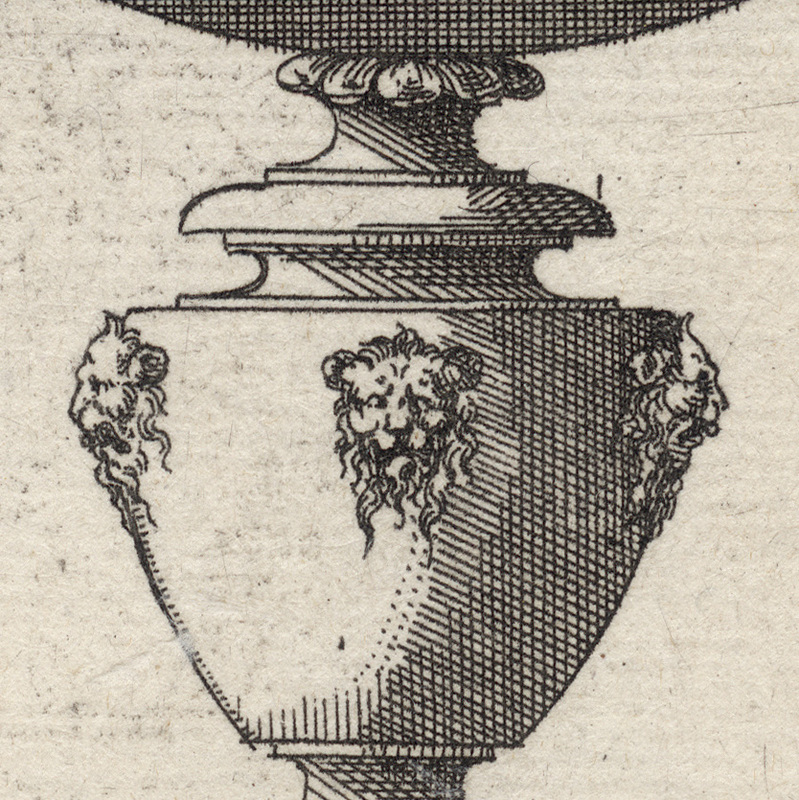 “Lidded goblet with lion head ornamentation” (note that the BM describe similar vessels as cups and other institutions describe them as goblets), c1560. Etching on fine laid paper with small margins and backed with a support sheet. Condition: crisp and well-printed early impression (based on the line quality showing no sign of deterioration to the printing plate) with small margins (approx. 5 mm) laid upon a support sheet of archival (millennium quality) washi paper. The sheet has light surface dustiness and there are small restorations of surface abrasions—now virtually invisible—and several ink dots on the lower right. I am selling this Renaissance period etching of elegant beauty for AU$185 in total (currently US$133.26/EUR116.99/GBP102.71 at the time of posting this listing) including postage and handling to anywhere in the world (but not, of course, any import duties/taxes imposed by some countries). 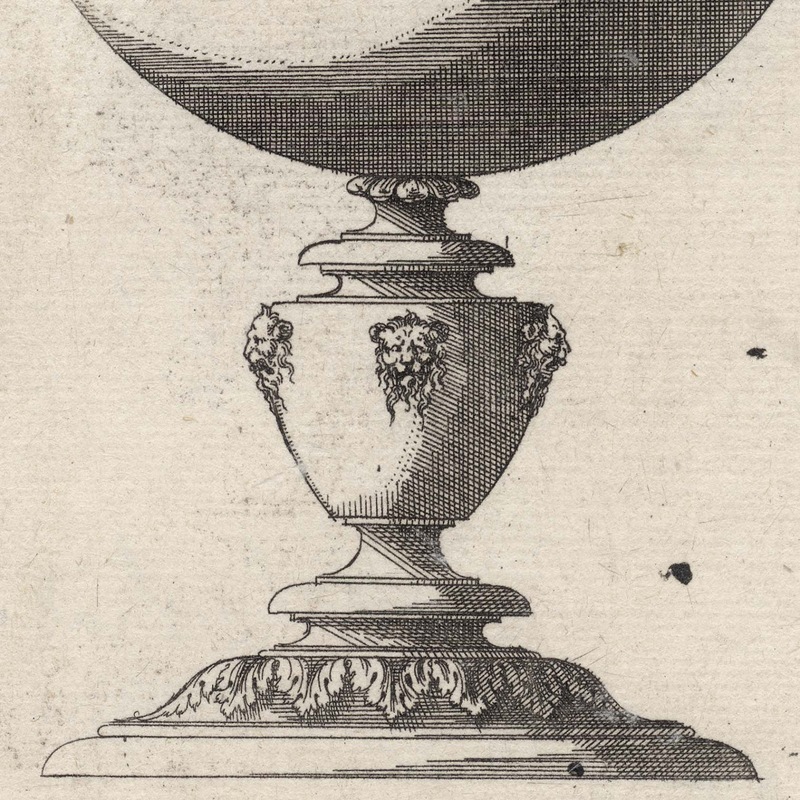 If you are interested in purchasing this highly refined early etching of a goblet, please contact me (oz_jim@printsandprinciples.com) and I will send you a PayPal invoice to make the payment easy. One of the inconvenient realities of attributing an artist's name to a print by an unidentified printmaker is that the attribution needs to be justified. Fortunately the task of setting the time period for this print to the mid-1500s is not that difficult as the style of the etching matches that of quite a few German printmakers of that era. 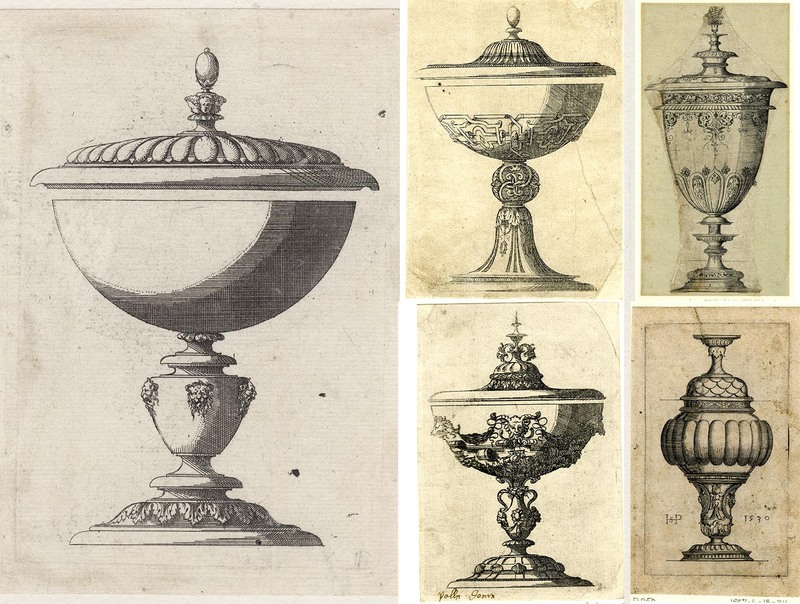 For example Albrecht Altdorfer (1482/5­–1538) famously made twenty-two etchings of vessels very similar to this plate. 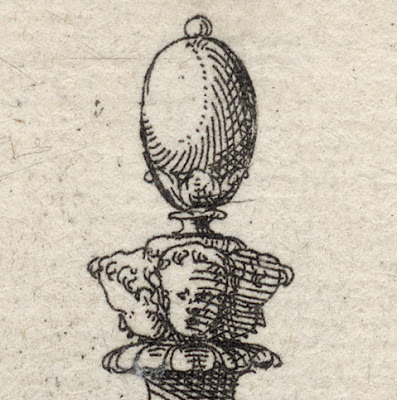 Nevertheless, I know that this etching is not by Aldorfer as there are distinct stylistic differences. 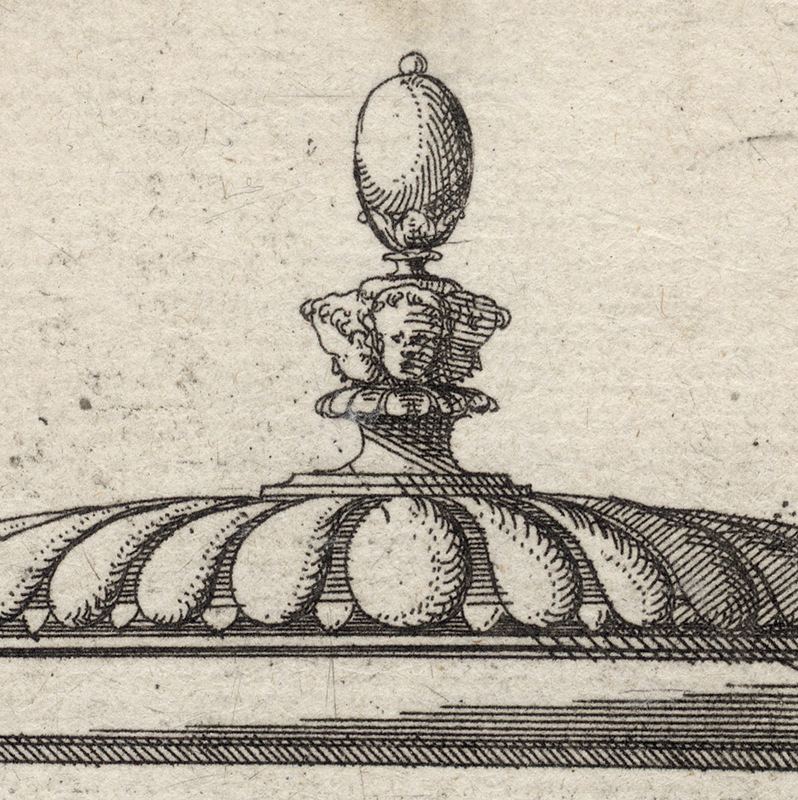 For example, with the exception of three of Aldorfer’s prints all of his etchings of vessels exhibit cross-hatched backgrounds (see https://www.britishmuseum.org/research/collection_online/collection_object_details.aspx?objectId=1421792&partId=1&searchText=Albrecht+Altdorfer+&page=1). 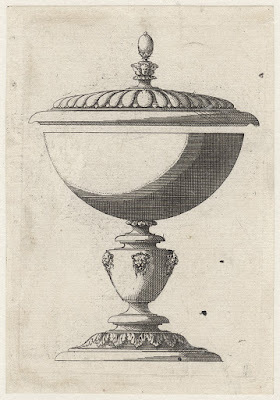 Similarly, Sebald Beham (1500–1550) made three engravings of lidded goblets with the same formal arrangement and using a very similar rendering style, but this print is not by Beham as Beham nearly always signed/monogrammed his plates (see https://www.britishmuseum.org/research/collection_online/collection_object_details.aspx?objectId=1518559&partId=1&searchText=Beham++goblet&page=1). Virgil Solis (1514–1562) in his vast oeuvre of prints also made a series of intaglio plates featuring goblets, cups and pitchers that correlate well in terms of style with this print (see https://www.britishmuseum.org/research/collection_online/collection_object_details.aspx?people=107033&peoA=107033-2-60&ILINK|34484,|assetId=88785001&objectId=1488277&partId=1). Moreover, I have showcased previously an etching designed by Hans Holbein the Younger (1497/8–1543) of a goblet showing the same stylistic manner of the period… but admittedly the execution of the plate was completed much later in 1646 by Wenceslaus Hollar (see https://www.printsandprinciples.com/2018/02/wenceslaus-hollars-etching-wide-cup.html). Mindful that there are many German printmakers who may well be the true artist who executed this elegantly simple etching, my attribution of this print to the circle of French printmakers around Jacques Androuet Ducerceau (c1520–1586) is all to do with the intimate details of how the goblet is rendered. 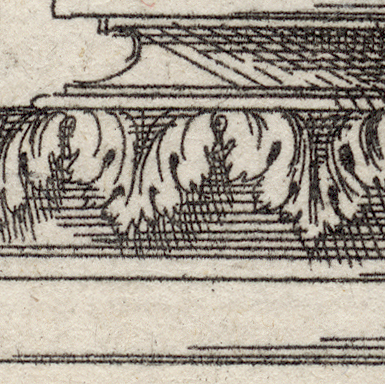 Note, for example, how Ducerceau employs a row of dots to shade the lightest suggestion of shadow. He then uses right-handed angled hatched strokes to render the mid-tones (see the stem of the vessel) and finally applies a layer of vertical strokes on top of the angled strokes to achieve cross-hatched darkness.